The Diablo Valley College Lacrosse Team will be hosting their second annual American Cancer Society benefit game on Saturday, November 15, 2014. The game begins at 7:00 pm at the Diablo Valley College stadium in Pleasant Hill, CA. They will be honoring Lauren McCullough and retiring the #1 jersey that they presented her last year. Lauren’s parents will be there to speak and accept the jersey for Lauren. Please come to support this team and their continuing efforts in raising awareness of childhood cancer, Lauren’s #1 mission. Click on the link for more information. 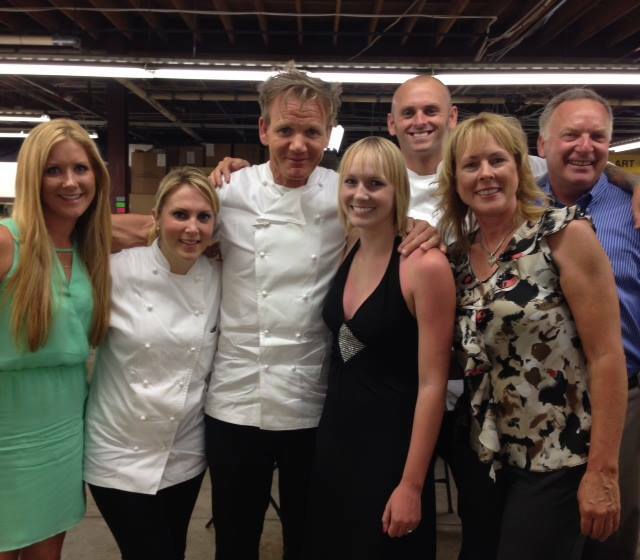 Lauren was personally invited by Chef Gordon Ramsay to attend the filming of a Hell’s Kitchen episode last September 2013. That episode is due to air on Wednesday, November 19, 2014 on Fox. We don’t know if Lauren will make it on air, but look for her, her dad, mom, and a Dream Foundation representative, Dawn Reid, on the red team side of the restaurant, near the front. The food was fabulous! 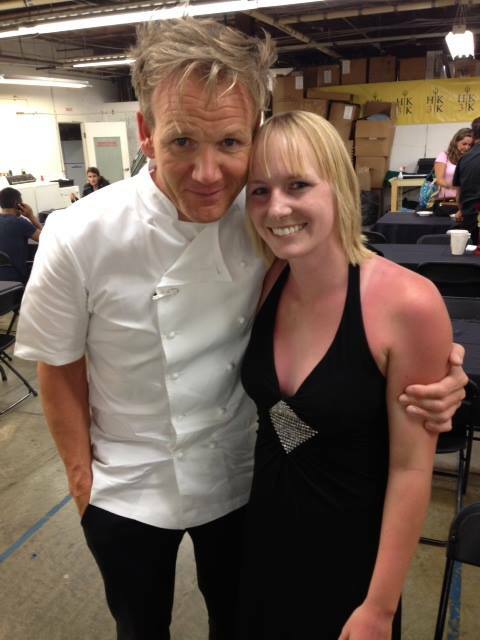 This was an incredible dream for Lauren, since Gordon Ramsay is her most favorite chef of all. He treated her like a celebrity and was so nice to her (Nothing like how he treats his competing chefs on the show!). Please check your local Fox station for the time in your area. The attached pictures are from the filming last year. God bless and rest her soul. God bless her family and comfort them as YOU say you will. And He ALWAYS does! God never lies! God IS THE ALMIGHTY, and will wipe away ALL sorrows and tears. He will comfort through His EVERLASTING and LOVING SPIRIT! To GOD be the glory!